A Real Tough ‘Ombre | ¿Qué Onda Guero? 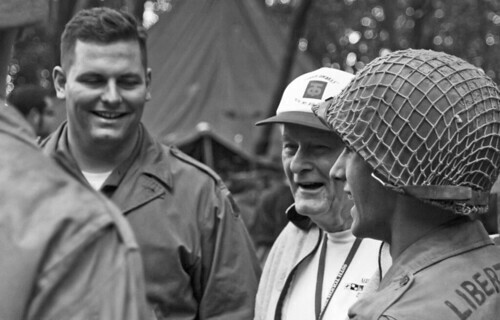 I was hanging out with the 90th infantry division, a.k.a. the Tough ‘Ombres, when this gentleman approached. 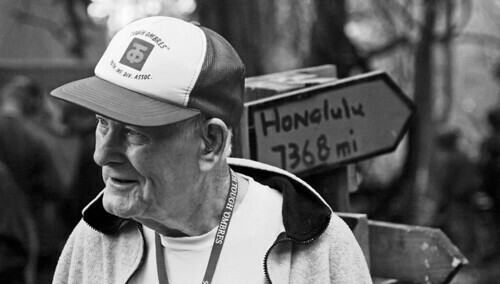 A real 90th infantry WWII veteran. Quite a treat. This entry was posted on Saturday, October 9th, 2010 at 11:22 pm	and posted in Uncategorized. You can follow any responses to this entry through the RSS 2.0 feed.